What to do with half a lemon, half an onion, half a pomegranate? 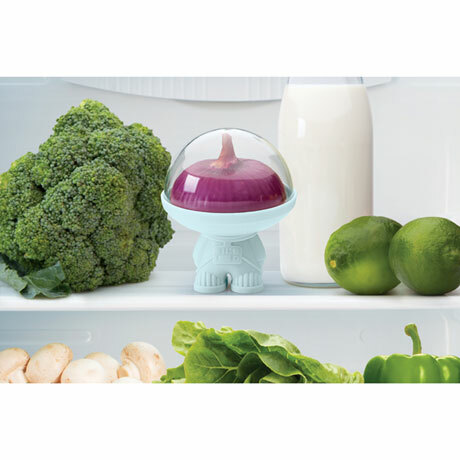 Save on baggies and plastic wrap with this clever little fridge astronaut. The clear twist-off helmet keeps food fresher longer. Plastic. Food safe, dishwasher safe. 4" diameter, 5" high. From OTOTO Design.